Realize what's real and what's not. Who's worth the effort and who's not. When hard times get rough, you'll find out who your real friends are. If you want someone real then stop messing with so many fakes! Broadly speaking, real people are those whose actions are synchronised with their thoughts. Real people are far from ostensible, they are nominal or apparent. It is all subjective. However, normally if you don't mean what you present you will be called fake. 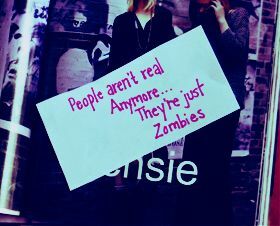 We are all real as a matter of fact. We are not our material bodies. We are spirit souls within our bodies, like hands within gloves. These material bodies are not real us. Real us are our spiritual bodies. If we get purified from our material contamination and go back home, to spiritual world then our spiritual bodies will be real us. These broad generalities clearly suggest that real people exist. “Shakespeare lets us see real people undergoing real processes, with real feelings.” Vanessa Redgrave. “Real people” is a term which is quite synonymous with practical beings. People guided by pragmatism. ‘Real People’ was also an NBC reality television series that aired from 1979 to 1980 and became one of the most popular television series in the U.S.